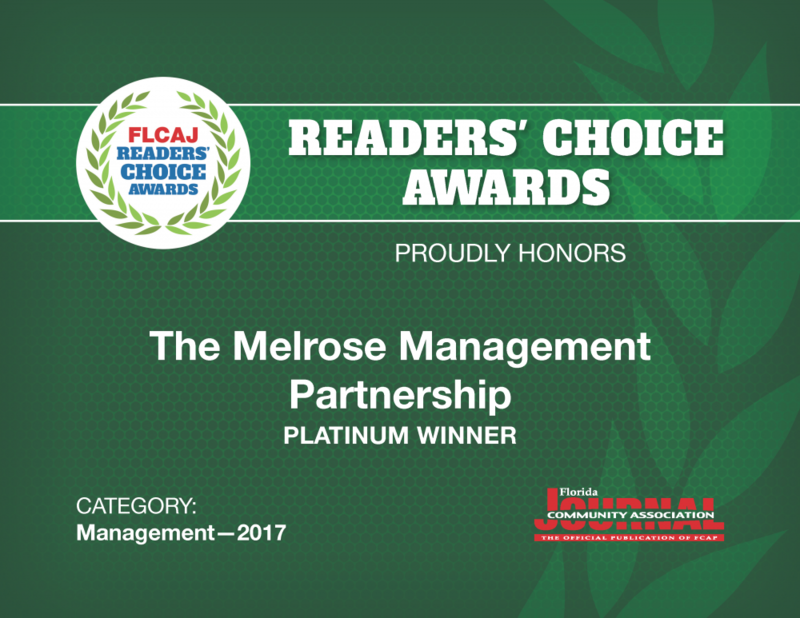 ORLANDO, Fla. – The Melrose Management Partnership was voted a Platinum Level Winner in the Florida Community Association Journal’s (FLCAJ) Fourth Annual Readers’ Choice Awards. Winners, chosen based solely on the total number of votes, were announced in the March issue of the publication. 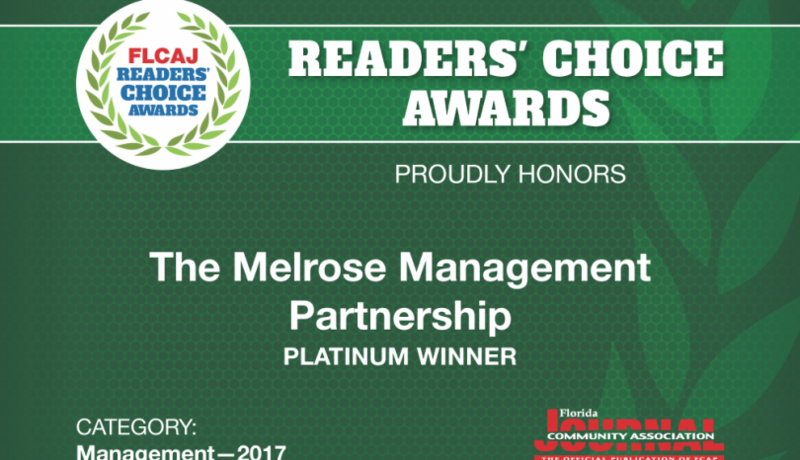 Jack Hanson, president of The Melrose Management Partnership, said votes by clients, peers and vendors ranking them so high is a recognition of Melrose’s commitment to achieving excellence in community management and lifestyle services. More than 340 service providers were nominated this year and approximately 6,000 votes were cast. There is no fee to enter the awards and the entire submission process is done online. The FLCAJ’s Readers’ Choice Awards is a unique recognition program that shines a spotlight on the positive and productive contributions by community association service providers across Florida. They are presented to those who demonstrate an exemplary level of proficiency, reliability, fairness and integrity. “We are honored and delighted that Florida Community Association Journal’s readers chose us as one of their favorite service providers. These awards are especially important in our industry and we are proud of the achievement,” said Hanson. The Melrose Corporation is a leader in modern community and lifestyle management. Comprised of eight subsidiaries, Melrose prides itself on having solid insight into the needs and concerns of each individual client served. The Melrose Management Partnership, its association management branch, has overseen the affairs of more than 1,250 communities over 25 years. Melrose Lifestyle Services, its amenity and lifestyle management division, provides customizable community programming tailored to meet the unique needs of its developer and homeowner clients.